Could African Cities be Walkable? Jeff Speck recently published a fabulous new book entitled Walkable City: How Downtown Can Save America. I must put a disclaimer here that I have not, in fact, finished the book, but there are so many insights in the first few chapters that I couldn’t wait to write about the implications that these US-centered ideas can and should have on cities throughout the world. 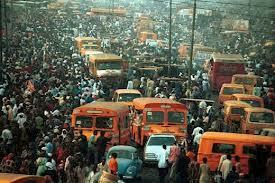 Couldn’t one write the same book on how necessary it is to build walkable cities in Lagos, Nairobi, or Port-au-Prince? I think anyone that has sat in the infamous traffic in any of these cities would agree with me when I say emphatically, yes. And we need to ask these questions now. As The Economist pointed out a few months ago, “Sometime in 2013, whether by a birth in the Makoko slum or a job-seeking migrant stepping off a minibus at the motor-park, Lagos will overtake Cairo to become Africa’s largest city.” And yet, even that article talks about the need for better public transportation, without mentioning the simulatenous need for cities to both have public transport and to be walkable. Wealthier: Almost 85% of money spent on cars and gas leaves the local economy. In fact, he echoes many social scientists before him who have highlighted the evil impacts of suburbanization to an extent that makes you want to send policy makers from the 1950s onward to the International Criminal Court for crimes against humanity (ok, maybe that’s just me.) There are many examples of how policies have pushed suburbization over vibrant, walkable downtowns. One recent study, for example, shows how federal government support is skewed towards single-family homes, rather than multi-family developments (aka, apartment buildings that are prominent in condensed, urban areas. ) This is just one of many examples of active policy and financial support for sprawl from local, state, and federal governments for at least the past 60 years. The good news? In the United States, the housing crisis has created an unprecedented opportunity for the market to shift, as people are ditching their big houses in the suburbs for small homes with shorter commutes – a trend highlighted by Brookings Fellow Christopher Leinberger. There is organic, bottom-up, market demand that is breaking through entrenched car and oil lobbies to finally encouraged real change to the way that we build cities in America. People now will pay a premium to live in walkable cities. As evidence a home with a high score on the popular website Walk Score can sell for 5 to 10 percent more than a similar house with a lower score (Speck 26.) So demand works both ways – yes, many people want to live in big house with yards, but many people will choose a option that allows them to drive less, if given the chance. So how do we build on the organic demand for walkable cities driven by the wealthy in each city, while still ensuring that the benefits of walkability are available to all segments of the population? A contributor the magazine Intelligent Life recently asked this question to one of the world’s leading architects, Simon Foster. While Foster has done very little work in Africa, he did note that development of Africa slums require ‘a very different approach to the design-profession response to wipe it clean and superimpose another order, which completely disregards the fact that, notwithstanding the horrific deprivation, there is an underlying social order and an organic response to needs.’ Well said. We need a better understanding of how bottom-up demand and consumer preferences can drive the creation of healthy, vibrant, and movable downtowns across income levels. There are certainly policies that can both avoid top-down vast urban improvement projects while avoiding the temptation to actually support urban sprawl, thereby creating the vehicular nightmare that is getting worse by the day in cities around the world, especially those in Africa. Many of these policies may simply be the lack of policies – letting cities develop organically through the efforts of innovators and entrepreneurs. In perhaps one of my favorite books ever, Arrival City, Doug Sanders describes some of these policies through a poetic worldwide tour of urban migration. 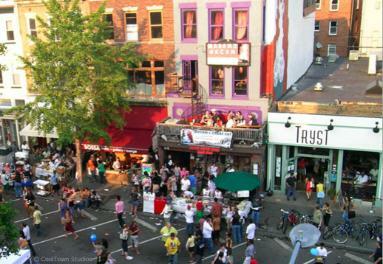 For example, ensuring that ‘slums’ include multi-use buildings where new arrivals can easily set up a shop or small restaurant, rather than high-rise apartment buildings with strict zoning restrictions, is one way to support entrepreneurship and keep cities walkable and economically vibrant – even in areas labeled as slums. There is so much more to write and I’m not even half through Walkable City. What do you think are specific policies that can improve African cities? In an early work experience in development, I spent 4 months at a civil society organization in Tanzania, Twaweza. The founder of Twaweza, Rakesh Rajani, has many years of experience in advocacy in Tanzania. He started this new organization in order to focus on what is dynamic at the citizen level, meaning those things that are part of the lived reality and not aid-driven. This term, lived reality, struck me as a brilliantly simple way to frame what we all know can so often be wrong with aid: it is rooted in the assumptions, goals, and reality of the donors and aid organizations, rather than those people we are trying to help. I try to come back to this idea every so often as a way to check in on my own career: is my work still sitting within that lived reality? It is really driven by the every day needs of the people we work with? During my recent trip to Uganda with USAID, we interviewed many implementing partners about how they might use mobile money. Many of the Cheif of Party’s and Finance directors we spoke to about the possibility of using mobile payments to improve programmatic or operational goals were skeptical. One agricultural COP in particular said “sure, we’ll use it someday, but the farmers, and my staff, just aren’t ready for it.” In our following meeting, we met his 2 Ugandan project managers, who told us that, on the contrary, the staff and the farmers were already using mobile payments regularly in their work, since it is simply the cheapest and most convenient way to send money and to purchase goods from the capital. This is indeed an ancedote but it’s one that reminds why we got excited about mobile technology in the first place: it just works for people. It’s simple, fast, and cheap. Our programs should make it more so, not less, and should focus on how people are already using mobile phones, not how we think they should. It also reminds me that I can continue to this role of connecting aid agencies to tools and processes that people are already using in their every day lives. I’d love to hear your stories about how you ensure that your work fits into the lived reality of the everyday lives of the people we hope to support. This morning I spoke at USAID’s MiniU on Global Health at George Washington University with Charley Johnson of the USAID Mobile Solutions Office, Dustin Gibson of Johns Hopkins, and Pamela Riley of Abt Associates. The pearl? 1.7 billion people with access to a mobile phone have no bank account. 1 billion phone owners lack access to health care. Game on: mobile + money = better health. The goal of the talk was to describe why I believe that mobile money will have a powerful impact on public health, from the perspective of my work at MEDA, where I support the organization in leveraging mobile across our 6 areas of focus – Savings, Youth, Rural Finance, Woman, Agriculture, and Health – to make each area more efficient & effective in creating Business Solutions to Poverty. Narrowing in on how mobile money can improve post-disaster resilience, I focused on Haiti, where a recent evaluation of non-conditional cash transfers after the earthquake found that mothers who received cash spent it on food, refrigeration, cooking, and health services, and therefore (we assume) were able to better stabilize the health and nutrition of their families. However, this cash aid was rare and slow – after the earthquake, there simple was no way to move cash around the country due the lack of banking and transportation infrastructure, and Haitians were largely unable to receive either cash aid or remittances from family members abroad. Understanding that the inability to transport cash around the country was one of the key hindrances to humanitarian relief efforts after the earthquake, the Gates Foundation and USAID turned to mobile money to ensure that these problems can be avoided in the future. 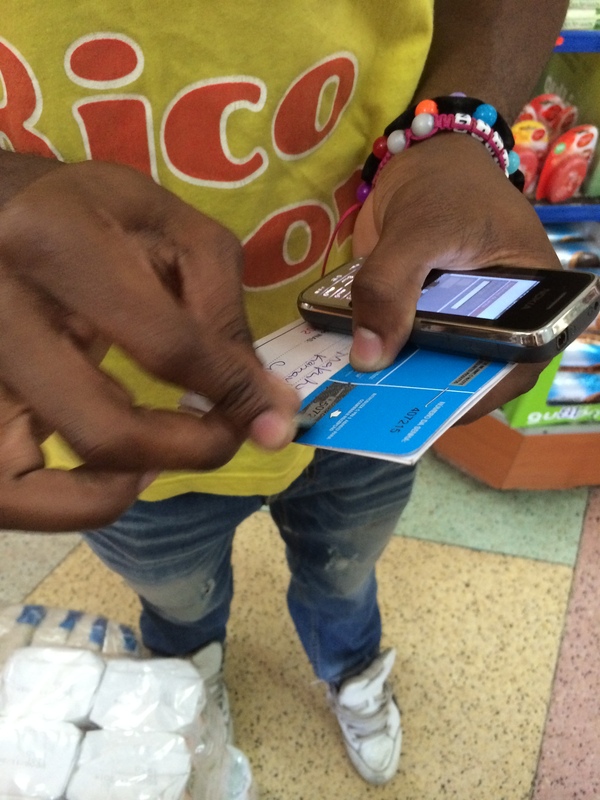 The resulting incentive grant, the Haiti Mobile Money Initiative (HMMI) resulted in two mobile money products, T-Cash and TchoTcho Mobile. The question now is, has it worked? The good news is, yes, at least, it’s starting to. The clearest example is the from only last month, when Hurricane Isaac made landfall near Port-au-Prince, where over 400,000 people still live in tents. Digicel was able to send cash aid to 5000 mothers within 2 days of the hurricane, an unprecedented response time for distribution of cash aid, since the mobile money transfer via TchoTcho Mobile reduced the time and infrastructure needed to distribute cash. We can assume that these mothers, like those after the earthquake, used this cash to maintain the nutrition and health of their families while rebuilding their homes yet again. There are several other organizations using TchoTcho Mobile to a variety of humanitarian and development projects. Moving from mobile transfers in post-disaster relief, I covered a different end of the mobile money spectrum: supply-chain management. MEDA has been working with the government of Tanzania since 2004 to prevent malaria infection through the distribution of Long Lasting Insecticidal-treated Nets (LLINs) through the Tanzania Net Voucher System, or TNVS. It is now possible to have real-time insight to the gaps in the supply chain, i.e. lack of demand for nets in certain areas or lack of supply in other areas, issues which keep vouchers from being redeemed. With the paper system, if a voucher wasn’t redeemed, there was no way to tell if the reason was on the supply or the demand side. The health sector is also a crucial way to promote the uptake of mobile money due to the size ot the sector in most countries. If health practitioners choose to design a program and need support from the mobile money operator, they need to sell the program based on the operator’s bottom line. In Kenya, the pilot run by John Hopkins and panelist Dustin Gibson to test using mobile money to incentivize vaccine uptake found that moms like mobile money more than airtime (in Kenya, where MPesa is ubiquitous) and that is important to involve husbands in order to increase uptake. 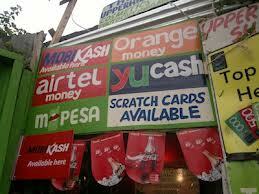 Where do you think the greatest potential is for mobile money to improve public health?